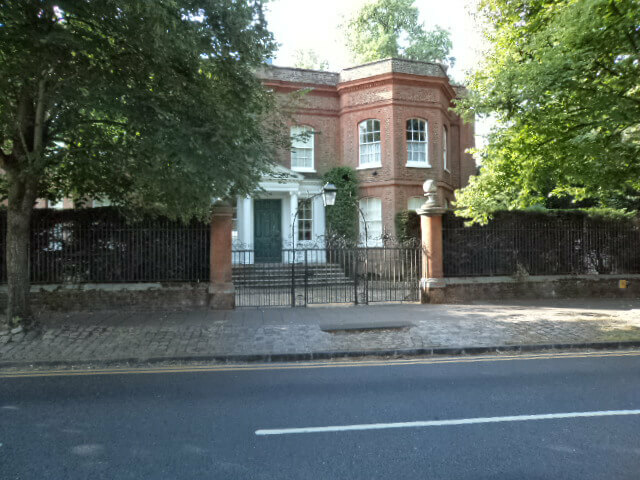 The front entrance of Remnantz, Henley Road, Marlow, home of the first military college. 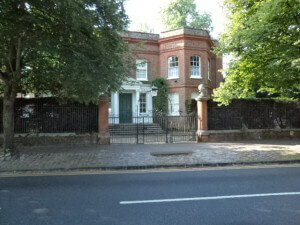 This week I visited the predecessor to the Royal Military College, Sandhurst. In those days I don’t think there was much concern as to whether it was a ‘College’ or an ‘Academy’. It was established at Great Marlow in Buckinghamshire in 1799, at the recommendation of its first commandant, Colonel John le Marchant, as an adjunct to the senior institution for training army staff officers in High Wycombe. 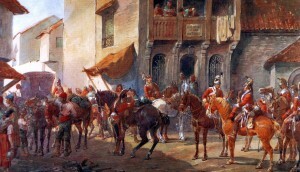 The Academy was situated in Remnantz, a large house on the road to Henley, catering for around 300 cadets for the British and East India Company armies, until its removal to Sandhurst in Berkshire in 1812. Although the west wing of Remnantz was demolished when the house was purchased by the Brewery family of Wethered in 1825, much of the original house remains. 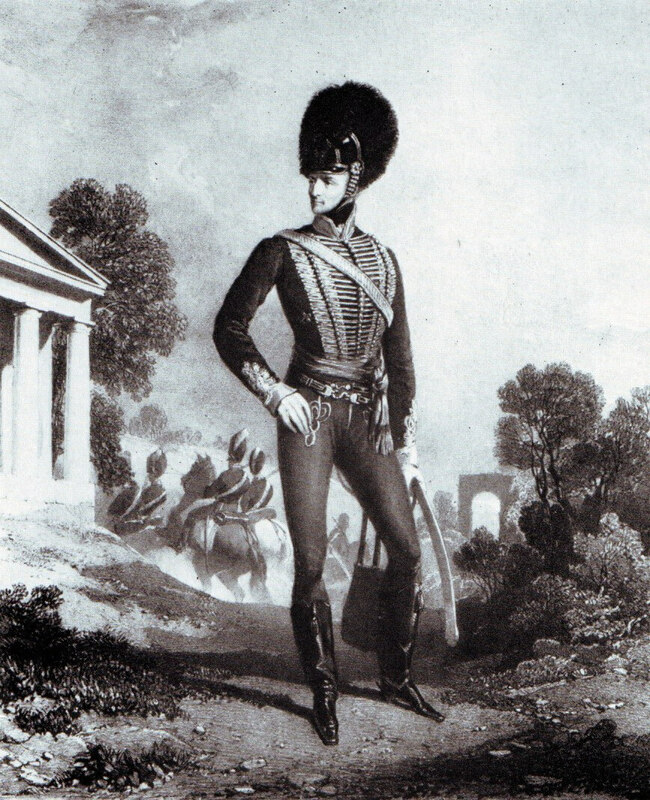 John le Marchant in the uniform of an officer of light dragoons, 1790. Le Marchant was an important influence in the re-organisation and training of the British cavalry arm in the Napoleonic Wars, drafting new regulations and designing a sword. 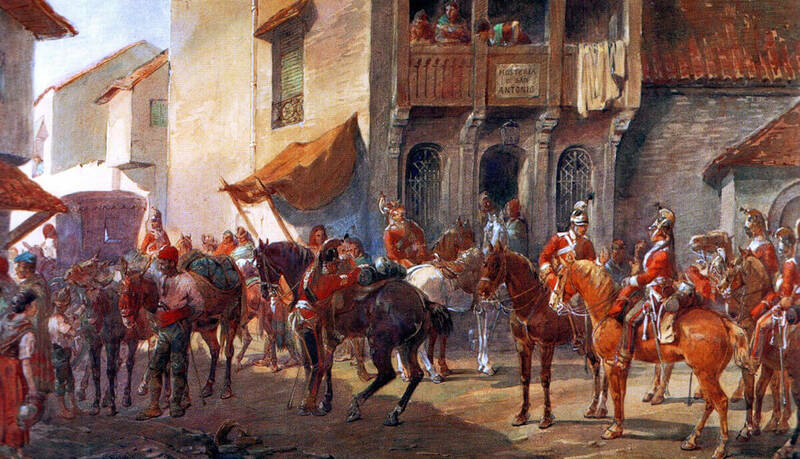 A regiment of British Dragoon Guards in Spain at the end of the Peninsular War by Orlando Norie.